21. Who Don't Know That ? ! 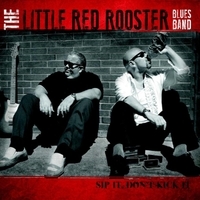 On February 22nd, 2015, Kevin McCann and Dave Holtzman were recognized and inducted into the Blues Hall of Fame as Great Artists from Pennsylvania, along with The Little Red Rooster Blues Band.. Like a fine wine, The Little Red Rooster Blues Band just seems to get better with age. Founded back in 1988, the Philadelphia area based band has successfully developed their own sound through interpretations of traditional Chicago Blues and West Coast Jump Blues. Over the years the band has consistently performed their high energy brand of blues in many renowned clubs and festivals. Their performance mission is simple: To entertain and leave them hungry for more. Sip It, Don't Kick It was originally released in 2013 and now re-released digitally for your enjoyment. All original material.